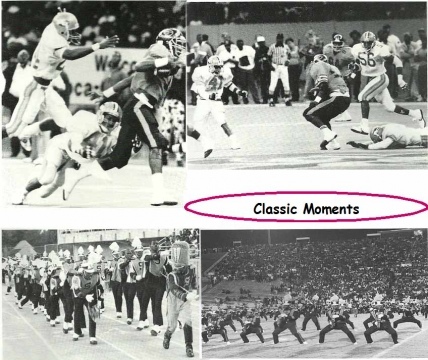 The Bayou Classic debuted in 1974 in New Orleans’ Tulane Stadium before 76,753 fans who saw Grambling State defeat Southern University, 21-0. As the classic expanded over the years, they left Tulane Stadium for the larger Louisiana Superdome and resumed their string of consecutive sellout crowds, gaining a national audience when NBC began annual telecasts in 1974. They have met 37 times with Grambling holding a one-game edge. Renamed the State Farm Bayou Classic, it continues to be one of the most popular sporting events in college football. They continue to bring the excitement of black college football competition, and the highly entertaining Battle of the Bands, featuring two of the best in the land. It is the only black college football classic, and the only non-FBS college football game, to air regularly on a nationwide broadcast television network.